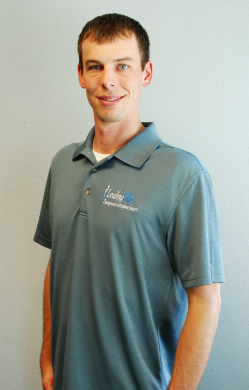 As a co-owner with my husband of Leading Edge Chiropractic & Acupuncture, my goal is to provide optimal health care to the residents of Sioux Falls and surrounding areas to help you achieve and maintain the highest level of health possible. I believe that health is a choice and I strive to deliver excellence in health care to my patients. In my practice, I place a strong emphasis on blending chiropractic and acupuncture treatments together to offer the greatest results possible for every patient I treat. I also focus treating a wide variety of Women’s and children’s health complaints. 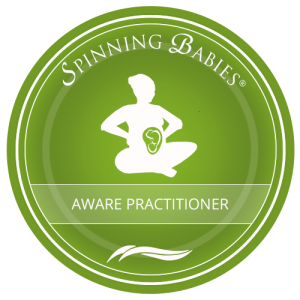 In order to better serve my pregnant clients, I advanced my training to be the only Spinning Babies Aware Practitioner. I value each patient’s individuality and treat each condition as it presents itself. Emphasis is placed on the patient so you feel that your treatment is being catered to your needs. New chiropractic patients will become educated regarding their health care and the choices they need to make to continue on the path of wellness. Through specific spinal adjusting and the correction of muscle spasms and soft tissue adhesions, my goal is to restore proper function to the body. Chiropractic can not only treat conditions of the spine but also a variety of health related issues and concerns including asthma, headaches and colic for infants.. I use a Diversified technique including manual adjusting, drop-piece technique and Instrument assisted adjustments based on patient need and response. I have a Doctorate in Chiropractic from Northwestern Health Sciences University. I am a Certified Acupuncturist in South Dakota. I am DOT certified to perform drug and alcohol tests. Originally from Brownsville, Minnesota, I moved to the area with my husband, Dr. Seth Roemen. Before beginning chiropractic school I worked as a train conductor in LaCrosse, Wisconsin for BNSF railway. I know firsthand how the stresses of daily work can cause pain, tension and soreness. Riding down the rails in a locomotive creates a constant jarring on the low back, much like truck drivers experience. In my spare time I enjoy going for runs and the enjoying the outdoors. My current goal is to run a half marathon in every state. I’m at about ¼ of my goal. Patient education is of the utmost importance, guiding patients to make the appropriate choice regarding their health care. I look forward to meeting you and will work with you as a partner in health care so that your body may function at an optimal level. 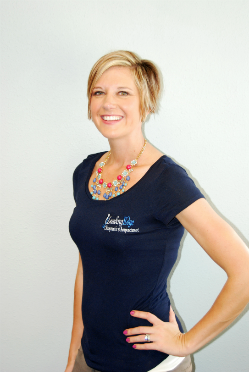 As a new business owner of Leading Edge Chiropractic and Acupuncture, I am excited to begin serving the Sioux Falls region. I believe that many people have some form of illness or chronic pain that has plagued them for years. There may have been numerous doctors’ visits and promises, often without long term results. Unfortunately there is no magic bullet or pill that will simply heal you. This realization has led many people to seek my chiropractic care. My technique emphasizes a dual approach, first creating proper motion of the spinal segments and secondly strengthening the muscles. This two tiered approach allows for greater stability and a longer lasting results. I have seen this treatment help all ages, young and old. The care I offer is patient specific and tailored to their needs and symptoms. I believe each patient needs to be heard and treated with the utmost respect and diligence. As a new patient you will not simply be a number in our office. I promise to provide you the best care possible. I use a Diversified technique including manual adjusting, drop-piece technique and Activator adjustments based on patient need and response. I focus on maintaining proper alignment through rehabilitative exercises. I grew up locally on a farm outside of Brandon, SD. I spent many years before attending Chiropractic school working at Splitrock Landscaping and helping with the family farm operation. To say that I know what a sore lower back feels like is an understatement. I often draw upon the knowledge of these old injuries to help my current patients and get them pain free as soon as possible. When not at the office I like to spend my time back on the farm or in the great South Dakota outdoors, hunting and fishing. I am sure that I can provide the best care for you and can’t wait to help you become healthy so you can enjoy your life to the fullest.